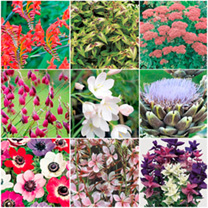 This collection contains a selection of excellent performing late summer flowering perennial plants that are all hardy, and of different types of habit and colour. These plants come into their own just as many other plants are starting to fade! 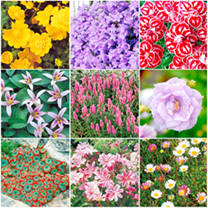 The selection of plants will be taken from our current range which includes varieties such as crocosmia, persicaria, sedum, dierama, schizostylis, cynara, anemone, gaura, salvia, coreopsis.Collection contains a selection of 9 plants supplied in 9cm pots. Alpines are a range of plants that have their origins in alpine, mountainous climates.They can be grown in: Patio containersAn old sinkBetween paving stonesIn dry-stone walls or even in a rockery!So are perfect for small, modern gardens, patios or balconies.Plants are suitable for pollinating insects, have a low growing habit and are fully hardy.Collection contains a selection of 15 plants from our alpine range supplied in 9cm pot. 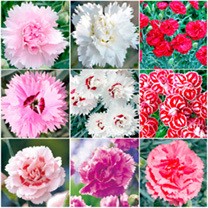 No garden should be without delightful pinks and their delicious perfume? 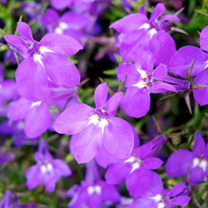 Theyre prefect for a sunny flowerbed, border or container, blooming reliably throughout summer. 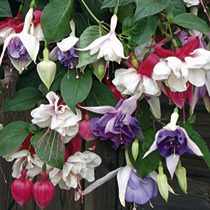 And many of them make outstanding cut flowers, allowing you to bring their delicious scent indoors. 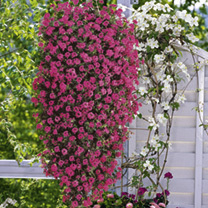 The collection offers a typical English cottage garden plant, with a wide selection of traditional and modern varieties of pinks, varieties will include the market leader Doris one of the best known and most free-flowering pinks, whose semi-double blooms are pale pink with a carmine ring. 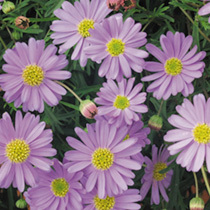 Height 30cm (12) along with other cut flower, fragrant, dwarf varieties. 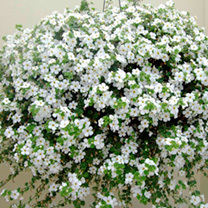 Plants are all fully hardy.Collection contains 9 plants (with a minimum of 6 varieties) from our pinks range supplied in 9cm pots. 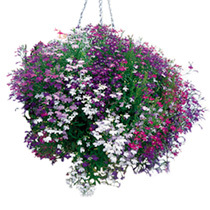 A free-flowering mixture, for baskets, containers or even as groundcover. Note that each plug contains approximately 3-4 seedlings. Trailing.